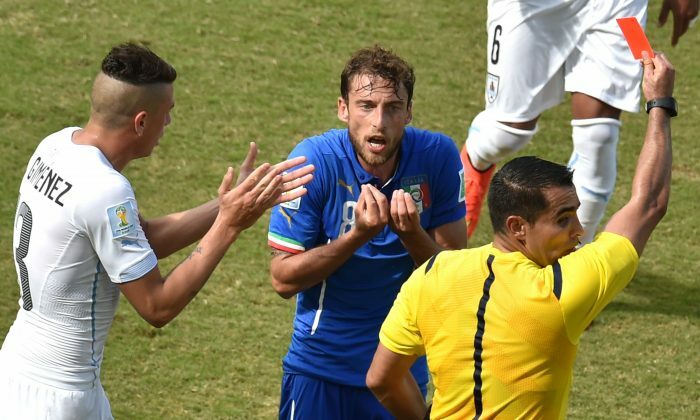 Claudio Marchisio was sent off in the 59th minute. The Italian midfielder fouled Egidio Arévalo Ríos, but the challenge did not look bad enough to warrant a red card. Check out the incident below.